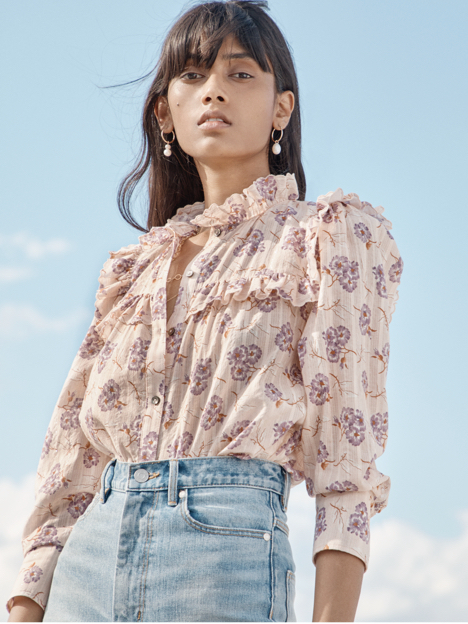 A flowing, crinkled gauze fabric is printed with delicate blossoms on this laid-back top. A flowing, crinkled gauze fabric is printed with delicate blossoms on this laid-back top. Its relaxed silhouette is designed with a cinched scoop neckline that flatters for easy style on warm-weather getaways.